We fly from the airport Bern-Belp over the Lake Thun in the Bernese Alps. The flight passes through Kiental, Blüemlisalphut, pass the Gamchilücke to the Mutthornhütte. After about 150 m walk you will be welcomed by the hospitable lodge hosts pair Erika and Toni Brunner. Experience the unique atmosphere of a SAC hut, the rustic food and the impressive view of the surrounding mountains. After about one hour we fly via Gastern- or Lauterbrunnen valley back to Bern-Belp. The flight time is approximately 50 minutes. 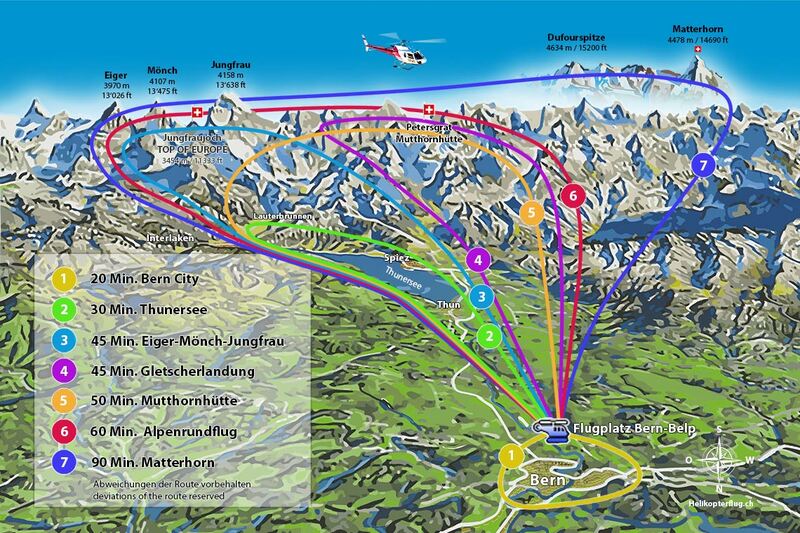 Fly "On Top Of Europe" and see the famous peaks of the Eiger, Mönch and Jungfrau. Pass the Jungfraujoch and experience the world of the mighty Aletsch glacier in the ice. Landing by a restaurant. (meals not included). 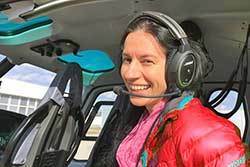 Our Alpine flight takes you from Belp along the Aare to the Lake Thun and past the Niederhorn. High above Interlaken you can enjoy a wonderful view of Lake Thun and Lake Brienz. You fly along Schynige Platte, Grindelwald, Wetterhorn and Mittellegigrat, past the Eiger North Face to the Jungfraujoch. From there you fly over the Aletsch Glacier and through the Lötschenlücke and past the Petersgrat to the Blüemlisalp. From there you fly over the Aletsch Glacier and through the Lötschenlücke and past the Petersgrat to the Blüemlisalp. For refreshments you land at the Gasthaus Bergli in Diemtigen. On the return flight you fly along the Stockhornkette back to Belp. The flight time is approximately 60 minutes. Exclusive Flight - Route and Schedule at its own discretion. * Subject to glacier landings depending on weather and helicopter, please ask as!